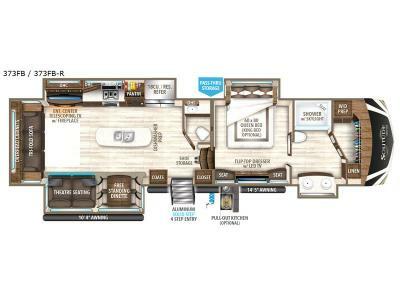 Imagine the convenience of a full master bathroom with dual sinks, and a half bath, plus storage everywhere you look around this fifth wheel. From the two closets next to the entry door, the large walk-in wardrobe in the master bath, the under bed storage, and all the overhead cabinets throughout, you will have plenty of space to invite the grandkids for a week-long stay. Now start thinking about how you will enjoy the walk-through master bedroom with a flip-top dresser, dual benches, and a TV. The cook in the family will surely love making meals in the kitchen including preparing meals on the island. 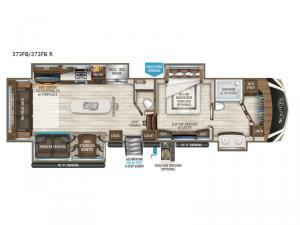 You might even like to choose a few options to make this the perfect full-timer RV! 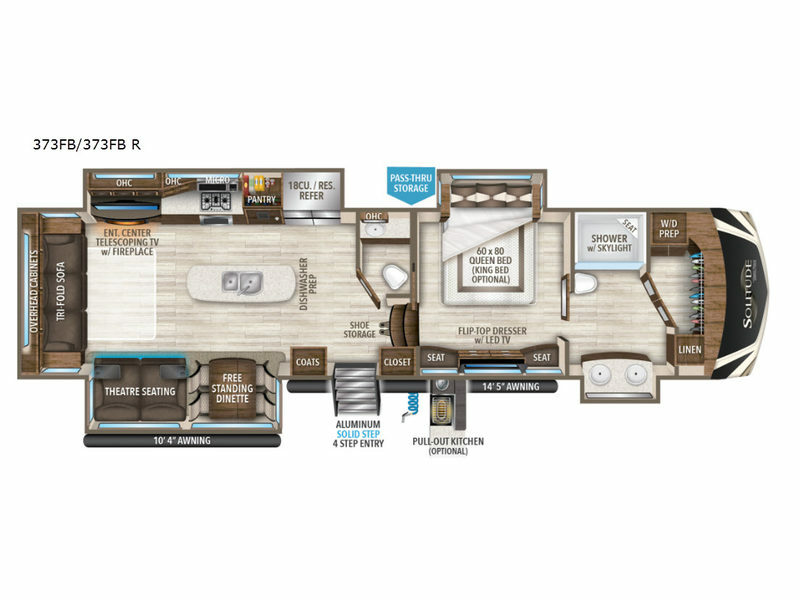 With each Solitude fifth wheel by Grand Design you will receive refined residential finishes, and affordable luxury for your extended stays or weekend get-a-ways. From the solid foundation on an exclusive superchassis and maximum insulation to the taller ceilings, taller and deeper cabinets, the power reclining theatre seating with removable swivel tables including a heat and massage function to the pet dish drawer, the Stealth AC system, and the Weather-Tek package allowing you to travel any season, you will enjoy everything about your Solitude. It's time to redefine luxury living where ever you decide to land.